“So is it OK if I tell my fifth grader that he can have an iPhone as long as he has straight A’s?” This was the question I received last week with many variations occurring over the last few years from anxious parents hoping to find the best way to ensure school success. I’m not sure when the obsession with our kids’ grades really started to snowball. But somewhere between the 1950’s, when my 141 IQ father brought home stacks of report cards peppered with C’s and critical comments and the 2000’s when my “joy to have in class” son spent no time on homework and received all A’s for years, something has gone terribly wrong. I’m not sure my grandmother ever met with my dad’s teachers in 1951 let alone weekly e-mails from them along with a 24/7 peak into their grade book. Yet this is where we have arrived in 2014. It is now so tempting to take on our child’s school performance as our own, and it is tempting to assume that if their grades are good, then they are doing fine in all aspects of life. But somehow, perhaps with the tidal wave of social media or the pressure of cul-de-sac convos, our kid’s grades have become a reflection on us. For the record, Christopher got the “F” on the math test because he didn’t show enough work and had tons of careless mistakes, and Michael dropped out of honors math because he realized that the other kids were naturally gifted in this area and he was not. Bryan repeated Spanish because he got a “D” on the final, and Matthew got a “C” in math because he is too confident to ask his mom for help. Andy and I are walking with them, but their grades are not our parenting score. Each situation listed above was a fantastic opportunity to teach. They were not opportunities to punish or scold. Frequently when I substitute teach at a middle school, I hear kids murmuring about not wanting their low quiz grades recorded on Fridays because they would get grounded for the weekend. Why would there be grounding if the student studied? Couldn’t Mom and child sit down and just figure out why the grade was low? Did they study the wrong material? Not understand the directions? Misread the questions? Were the concepts just too challenging? Is a “B” a low grade? Grounding is a possible solution if there are missing assignments, but not that helpful for a low grade. Grounding for low grades often times shifts the focus from mastering school work to performing for Mom and Dad and avoiding punishment. Fear of grounding does not seem to be the best motivator for doing well on tests and quizzes. Demanding all A’s can also distract a child from learning so many other important aspects of life because the children are absorbed with meeting this standard at all costs. It often feels like performing for parents rather than seeking to work hard and to learn much. 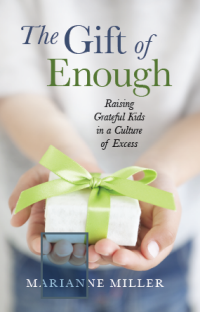 It can place stress on kids that is unnecessary and focus them solely on the product rather than the process. Parents also miss an opportunity to teach when they instead simply insist that these grades be achieved. They miss the chance to teach that different kids will find different classes more challenging than others. Organic Chemistry may make sense for some, but others will struggle with basic concepts and need to apply extra effort. Getting a B- in a tough class might be a cause for celebration while getting a B+ in an easy class might be an opportunity to teach the dangers of being too lax. 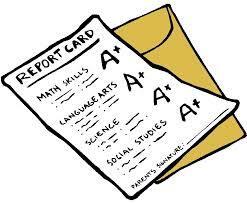 Finally, it is tempting for parents to assume that their child is “doing well” overall if their grades are high. Grades simply indicate how a child performed on a specific set of criteria in a given class. Perhaps the student gets straight “A’s” yet they swear like a sailor, complain when asked to do something, don’t accept “no” as an answer, and gossip about their classmates. Grades are a piece of the puzzle. But they are NOT the ultimate indicator of success. The iPhone should be given to a child who is responsible enough to care for it, mature enough to not misuse it, and secure enough in their identity to not be defined by the luxuries that they have.